There is no shortage of games on iOS and Android where you build your own empire, make allies and attack other players. Finding a high quality one is where the difficultly begins though and exactly the gap that Game of War: Fire Age hopes to fill. Under it’s very standard looking interface and gameplay you’ve got a few hidden features that make the game worth of installation on your device and even your funds if you don’t mind dropping a dollar or two for convenience features (you won’t find any pay to win here). The most notable of these is the live chat translation tool which makes it possible for your alliances to spread outside of the usual language barriers that you might face in other games. Playing the role of leader your job in Game of War is to make the decisions that will eventually lead to your empire thriving or withering away into nothing. For success you’ll have to step over other players by raiding them and stealing the resources they’ve been able to accumulate while protecting your own settlement at the same time. 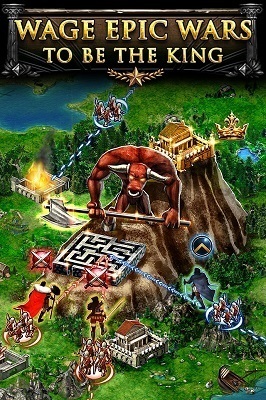 Much of your early game progression is around resource management as you build the necessary buildings and gather the resources of stone, wood, food, silver and ore. Once you’ve got a solid foundation you can begin to purchase troops to command your city walls or send them out to fight in the distant lands of your enemies. Along the way you’ll have to decide the troop and technology upgrades that you’ll want to pursue which ultimately change the way you approach the game and its strategy elements. 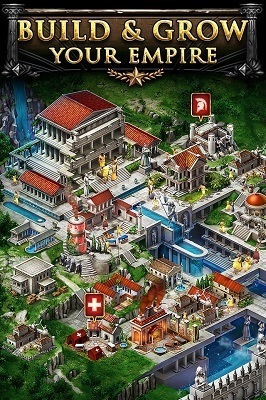 While Game of War: Fire Age falls short in unique elements it’s the essence of quality throughout the game that will get you to play it over the countless other alternatives in this genre. It is definitely one of the best options for your mobile devices at this time and worth checking out if you’re a fan of similar games. Chat translation removes language barrier of a worldwide game. Higher quality than most in this genre. Alliance focused experience encourages teamwork on large scale. Plenty of technology and upgrades available to change the way you play.